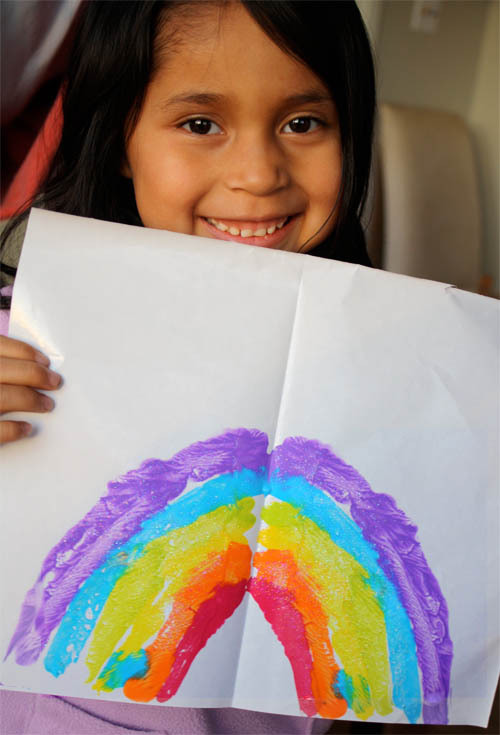 There seems to be no better time of the year than around St. Patrick’s Day to paint a rainbow! These fun little prints amaze kids! They won’t believe half a rainbow can be turned into a whole rainbow! 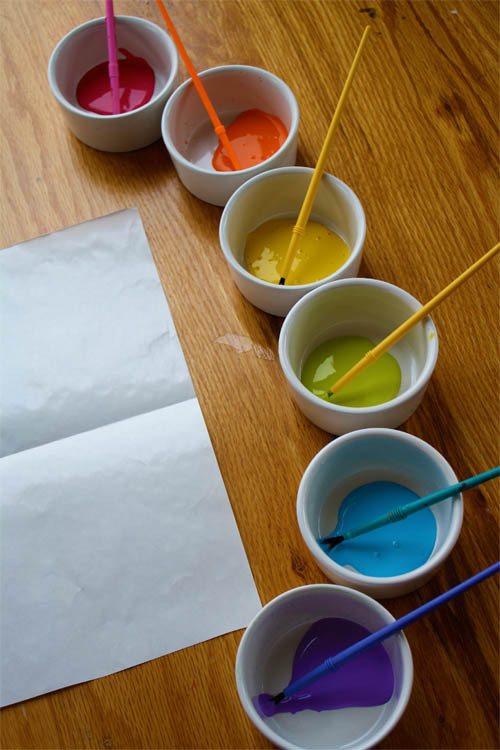 Set out a rainbow of acrylic paint. 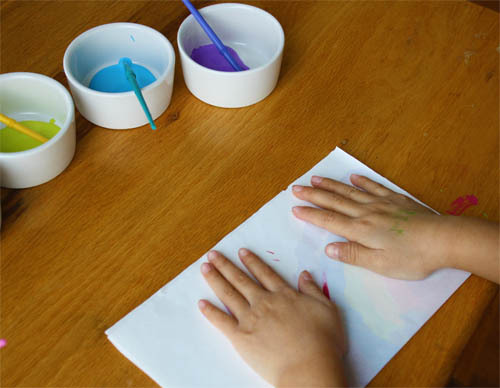 We painted on the shiny side of freezer paper. Cut what ever size you like. Fold the freezer paper in half. 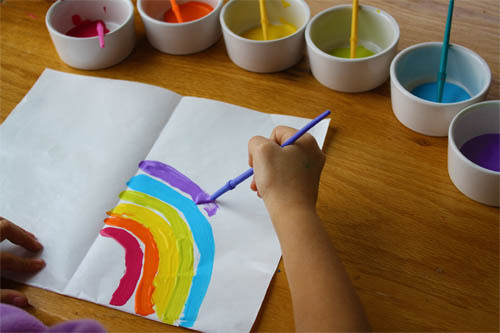 On one side of the paper paint half a rainbow. Fold paper in half and lightly press. Don’t slide hands, just press. 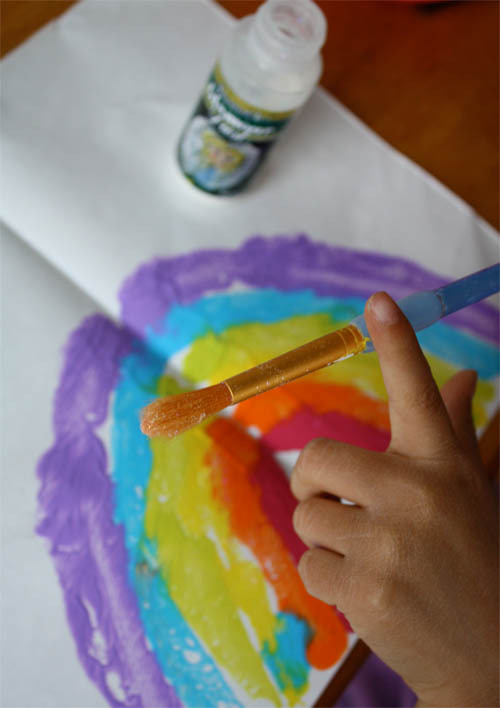 With one finger you can slide along each individual color of the rainbow if you like. Open paper. 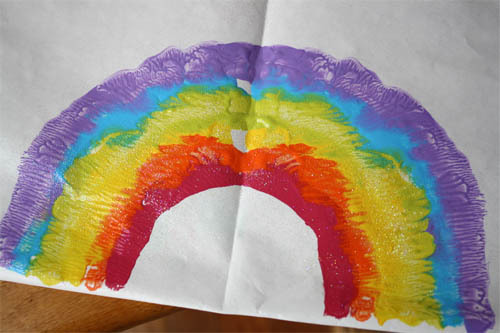 We then added a touch of glitter to make our rainbows sparkle! 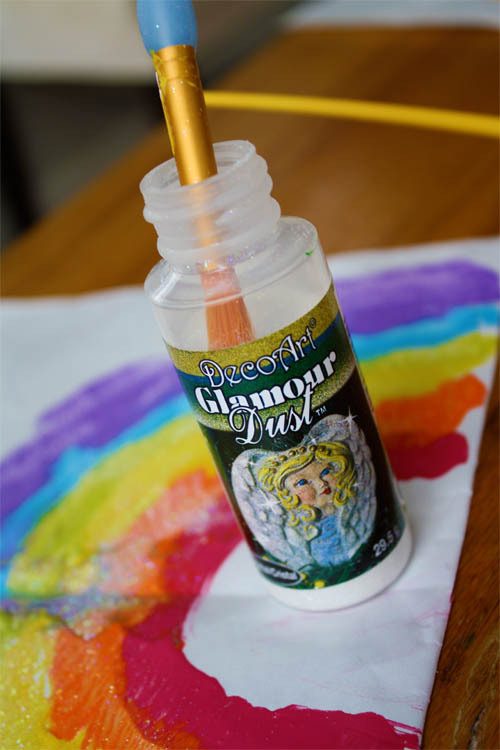 Dip a dry brush into DecoArt Glamour Dust. 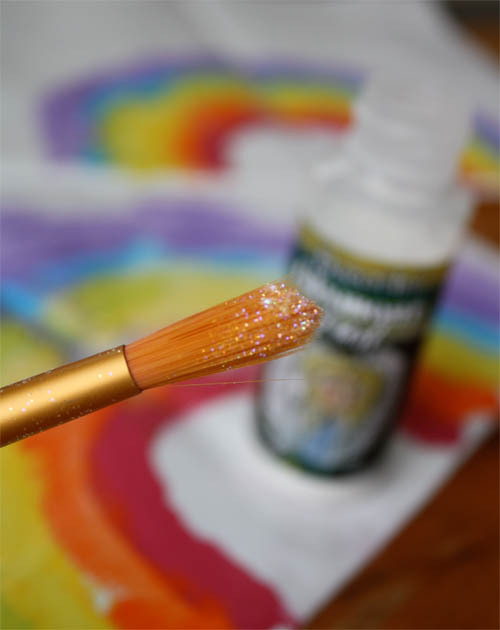 Tap a finger or pencil on the handle of the paintbrush and your rainbow will receive a beautiful sprinkle of glitter! May there be a big pot of gold at the end of your rainbow! I think it’s funny that green happens to be the color that got obscured by the colors on each side of it for St. Patrick’s Day. We just made a saint patrick’s day craft too that was fun! Hi! I just wanted to let you know that I loved this idea! I linked it up on my blog today! My girls had so much fun with it! okay, i might just change my lesson plans for today so we can do this!